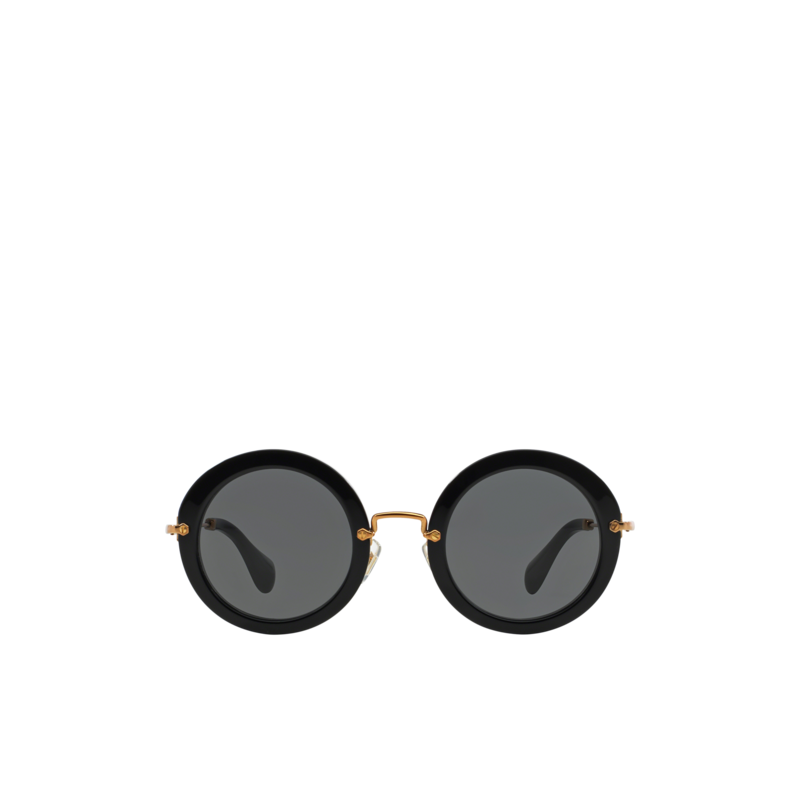 Full circle acetate frame. Antiqued gold metal bridge and temples. Miu Miu logo engraved on the temples. Adjustable nose pads make this style suitable for any fit.